For more information about Sinclair computers, call the Sinclair Computer Connection BBS at (305) 945-8274. 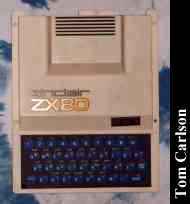 Click here to view all comments for the Sinclair ZX-80 and to leave your own. Click here to view comments about other Sinclair computers.